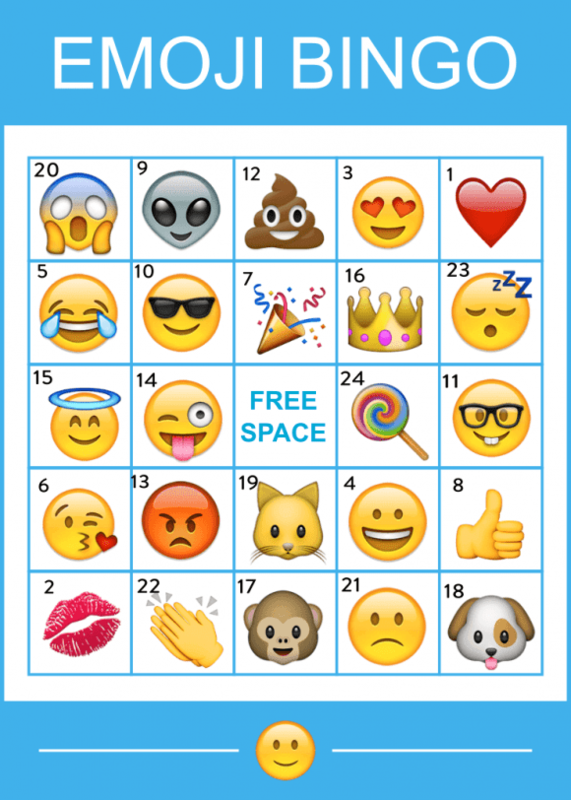 Download This Free Fantastic Printable Emoji Bingo Game! I am so addicted to emojis that I use them any chance I get. I just love them! 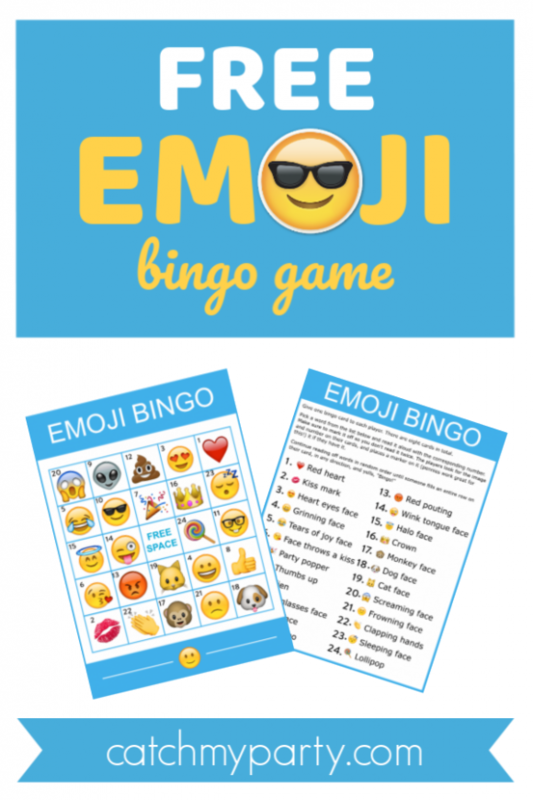 So, today I'm super excited to be sharing this free printable emoji bingo game with you! It's a great emoji birthday party activity to keeps kids entertained or you can even add it to your party favors. It's such a fun game that kids are going to have a blast! Print out the downloaded printable and enjoy! The game comes with 8 bingo cards plus instructions. 1: Print out the 8 cards and the instructions. 2: Call out items off the instruction sheet (in random order), and if the guest have the image on their card, they cover it with a marker, like a penny. 3: The first one to cover an entire row (horizontal, vertical, or diagonal) yells "Bingo" and wins! MORE EMOJI POSTS YOU'LL LIKE! 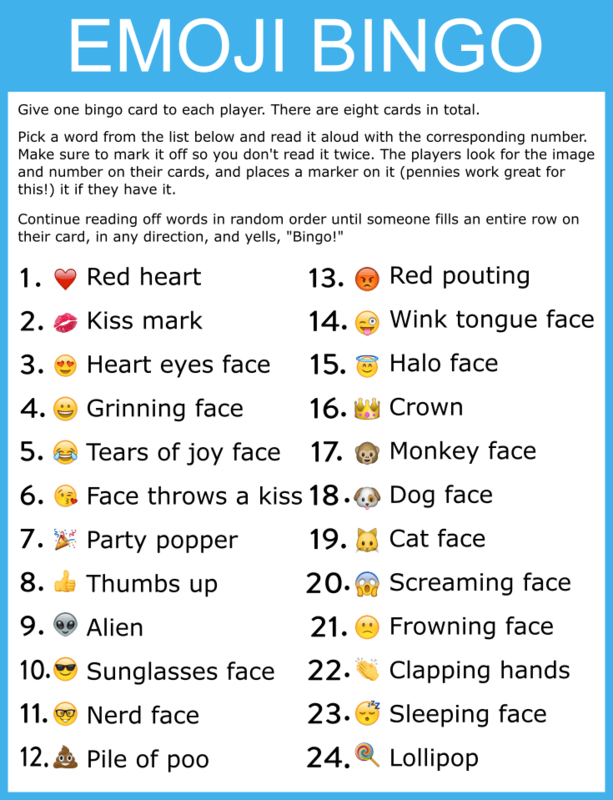 You're Gonna Love These 9 Awesome Emoji Party Ideas! Need Emoji free printable decorations? 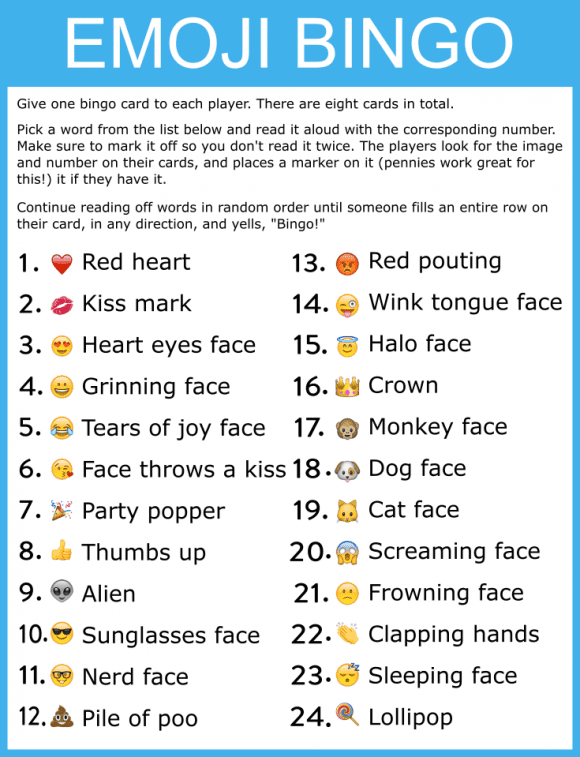 Free Emoji Party Printables for an Amazing Party!